Further narrow your shipping region by city name when postal codes are not available. 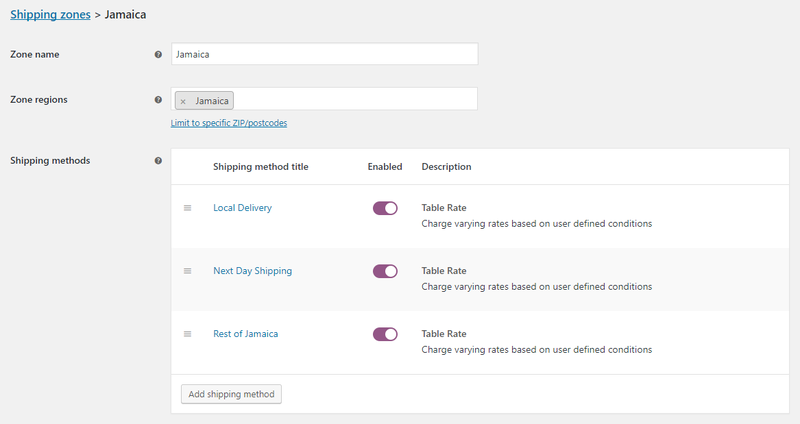 This is an add-on item that will only work with the Table Rate Shipping for WooCommerce plugin. With this extension you are not limited to postal codes for dividing a country, state, or province. With this new settings section, create a list of city names and only customers shipping to those cities will see these shipping options. Have different regions? Not a problem! Every WooCommerce zone can have multiple Table Rate methods. Simply add a new method for every group of cities you have.